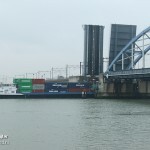 The 110 meter long self-propelled container barge Alsvin ran aground under the Vlake Bridge in Hansweert, Netherlands. 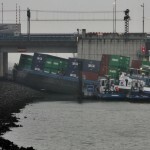 The Alsvin was loaded with 111 containers when it veered off course and stranded under the bridge. 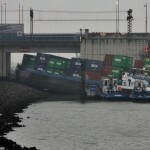 A few hours later the vessel was refloated with the aid of the rising tide and three tugs. 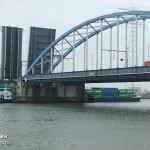 No damage to the bridge and vessel. 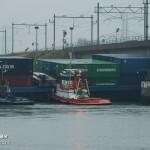 The master of the vessel was injured in the incident and taken to hospital. 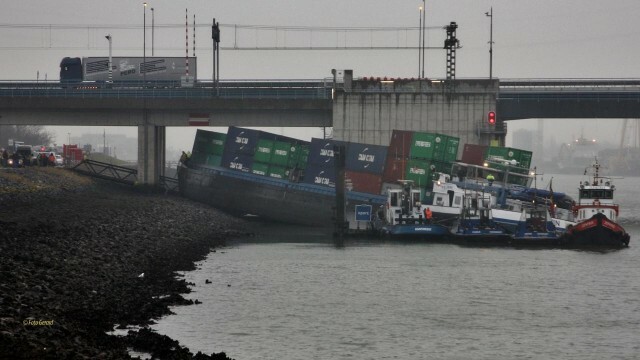 Reports state alcohol may have been factor.